The post-mortem changes in spotted mackerel (Scomber australasicus) killed by an instantaneous way of neck-breaking and bleeding (NB) and struggled suffocation (leaving in the air for 7-10 mins) (SS) were compared. It reached full rigor just 2h after death, and pH decreased to less than 6.0, ATP was degraded to 0.1 µmol/g, lactate concentrations rose to 100.3 µmol / g at 8h after death for SS group. However, in the NB group, it still kept pre-rigor even 8h after death, while, ATP remained ≥ 3.5 µmol/g, pH ≥ 6.3. The myofibrillar ATPase activity and salt solubility of the NB group showed a 10-20% higher value than that of the SS group. From the above, the instantaneous killing of neck-breaking might be a good way to delay rigor mortis to keep spotted mackerel with high freshness. Fish freshness is very important for consumers to choose either raw fish cuisine or other fishery products. In Japan, there are many good experiences to maintain fish freshness, such as considering killing procedures, storage temperature. This study tried to elucidate the superiority of kubiori mackerel, which is referred as a high quality brand mackerel by applying the instantaneous killing method of neck-breaking and bleeding, originally started from Yaku island. The results indicated that the instantaneous killing way by neck-breaking could be very effective to keep fish freshness and delay the post mortem changes compared with that of traditional catch method. In addition, it can effectively treat those small size fish less than 1000g without exceptional tools. Therefore, there are broad application prospects of the instantaneous killing method for keeping fish freshness and delaying the postmortem changes. The consumption of fish and fish products has been increasing steadily in recent years due to the broad awareness of the health and nutritional benefits of seafood. Sashimi (raw fish) and sushi, originating from Japanese cuisine, have gained popularity worldwide, becoming one of the fastest growing food segments in the food industry today (Hu et al., 2014). High freshness is required for raw fish to be consumed as sashimi or sushi. The market value is higher if the fish is pre-rigor rather than in rigor (Tamotsu et al., 2012). As fish decomposes easily, there are extensive trials to maintain fish freshness, considering fishing method, killing procedure, storage temperature etc. Some studies concerned the influence of storage temperature on the post-mortem freshness (Watabe et al., 1989; Iwamoto et al., 1985; Iwamoto et al., 1987; Mochizuki et al., 1999). Furthermore, some researchers have reported the effect of the killing procedure for delaying the ATP depletion and post-mortem rigor progress (Ando et al., 1996; Mochizuki and Sato, 1994; Mochizuki et al., 1997; Mochizuki et al., 1998; Mochizuki and Sato, 1996). Spotted mackerel (Scomber australasicus) is a species of fish in the family Scombridae, which is a pelagic schooling species of mackerel including Atlantic mackerel and chum mackerel with abundant catch in cold and temperate shelf areas. As a very popular and economical fish species in Japan, it can be caught from the southern Kyushu islands to Hokkaido. Usually it is caught by set net or purse seine in the northern area of Japan. Due to the large output and low freshness, it is utilized as low market value fish materials for fish meal or canned food. However, in the Kyushu area, especially in Kagoshima, the spotted mackerel is carefully caught by Pole-and-line fishing and killed by an instantaneous way of neck-breaking and bleeding. This fish is branded as “Kubiori mackerel”. It is served as high value sashimi along with other fish such as salmon. Compared with chum mackerel, spotted mackerel contains less fat, so consumer tend to enjoy the texture and taste of its sashimi as part of the local seafood culture in the Kagoshima area (Tamotsu et al., 2012). To improve the market value of spotted mackerel, there is one possible way to serve it as sashimi. However, the quality deterioration of fish meat after catch is very quick. It is known that the pH of mackerel meat decreases to 5.6 even if it is stored at 5ºC overnight. Also, there are some species of anisakis that infect the viscera of spotted mackerel (Suzuki et al., 2010; Quiazon et al., 2011). The parasites can enter into the fish meat after death. Due to the high risk of anisakis, there is no food culture of eating spotted mackerel as sashimi in the northern area of Japan. Our research group tried to apply freezing technology to get high quality frozen spotted mackerel for sashimi materials. We found that spotted mackerel with high freshness (high ATP content>3.5 μmol /g, high pH>6.3) could be used as frozen sashimi in our previous study (unpublished data). Fukuda et al. (1984) reported that there was much more marked denaturation in the muscle when frozen during post-rigor (pH<6.0, K value>5% (ATP=0)) than when frozen during pre-rigor. 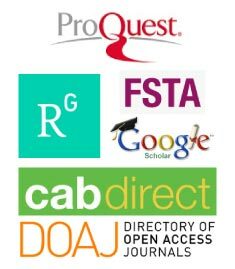 Ogata et al. (2012) also reported that the remaining ATP in pre-rigor fish muscle works as a cryoprotectant during frozen storage. So it is necessary to find a way to keep spotted mackerel freshness by delaying the postmortem changes and maintain ATP content and high pH. As the Yaku Island brand “kubiori mackerel”, there have been few scientific reports to show good quality for keeping fish freshness by applying the neck-breaking killing method. 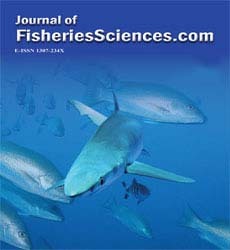 In this study, we tried to compare the postmortem changes of fish meat by using the two different killing methods, one being neck-breaking and the other, struggled suffocation (leaving in the air for 7-10 mins), which mimics the method for catching spotted mackerel by set net or purse seine. To compare the post-mortem changes in the two different killing method groups, not only rigor index, ATP content, pH, lactic content, but also Mf ATPase activity and salt solubility were measured. The objective of this study is to clarify the difference between the two groups, and to apply the freshness keeping technology for improving the market value of spotted mackerel by supplying frozen safe sashimi free of anisakis risk. Live specimens of spotted mackerel (Scomber australasicus) were caught by purse seine and then farmed in cages for one week by a local fishing company in Kushikino, Kagoshima, Japan. They were transported to Kagoshima university lab in a 1-ton seawater tank by supplying O2 gas. The water temperature was around 17ºC during transportation, the same temperature as that of environmental seawater in March 2014. Specimens were divided into two groups each of 40 specimens (body length 30-35 cm, average body weight 450 g). One group was killed by neckbreaking and bleeding (NB), the other group by leaving the fish in the air for 7-10 mins to mimic the catch by set net or purse seine, as struggled suffocation (SS). All the specimens in both groups were cooled in ice-seawater for 30 min, and then stored in 5°C for sampling. At 0.5-1h time intervals, five samples were taken out and subjected to measurements for the ATP content, lactate content, and pH. For the measurement of rigor index, Mf Ca-ATPase activity, and Mf salt-solubility, only the specimens of 2h and 8h after the start of storage at 5°C were measured. The analytical methods are described in the following section. After each series of measurements, these samples were omitted and new samples were taken out for the next experiment. Rigor-index was measured by the method of Bito et al. (1983) and used as a parameter for the stage of rigor-mortis. One gram of ordinary dorsal muscle was taken from the same sample and treated with 10 ml of 5% perchloric acid. The mixture was homogenized and centrifuged at 8000g for 3 min. The resulting supernatant was adjusted to pH 6.5-6.8 and the precipitate formed was removed by centrifugation under the same conditions as above. The supernatant thus obtained was analyzed for ATP content by high performance liquid chromatography as reported previously (Hu et al., 2013). Lactate in the perchloric acid extract for the measurement of ATP content as above was determined by using the Kit (R-biopharm inc. Germany). One gram muscle was homogenized in 10ml of cold 20mM sodium iodoacetate and measured for pH with a Horiba pH meter. Myofibrils were prepared from the samples of 2h and 8h after the start of storage at 5°C as described by Azuma and Konno (1998). ATPase assay was carried out as described by Hashimoto and Arai (1978). Salt solubility of myofibrils was measured as described by Azuma and Konno (1998). The protein concentration of Mf was determined by the biuret method, using bovine serum albumin as a standard (Gornall et al., 1949). All experiments were repeated at least three times to confirm the results and the data were expressed as means±standard deviations (SD). The differences between variables were evaluated by Student-Newman-Keuls statistical method. The results with P<0.05 were considered to be statistically significant. Progress of Rigor-Mortis: The progress of rigor-mortis is shown in Figure 1. The rigor index was measured to be around 75-94% for the SS group at 2h, while around 45% for the NB group. In storage at 5°C, the rigor index continued to increase and exhibited a full-rigor state after 4h for the SS group. While the progress of rigor-mortis of the NB group was very slow, the rigor index could not reach to the maximum of 100%, only reaching about 80%, even when stored longer than 8h. The results showed that the progress of rigor mortis was significantly different, faster for the SS group than the NB group (p<0.05). Figure 1: Average rigor-mortis progress between the two groups. The rigor index was measured at 2h and 8h after death for two groups. Ã¢ÂÂ¡: Neck-breaking; Ã¢ÂÂ : Struggled suffocation. Data are mean ± S.D. Asterisks indicate statistical significance (p<0.05). ATP Degradation: The ATP content of the NB group was determined to be around 7.8 μmol/g immediately after death, at the start of storage as shown in Figure 2. The ATP concentration of the SS group started decreasing rapidly and decreased to trace amount at 2h after death. While the NB group showed significant difference in the decay of ATP compared with the samples of the SS group, it was observed that retardation of ATP depletion occurred within 4 hours after death. In addition, the ATP concentration were kept around 6.3-9.1 μmol/g for 2 hours after death and then decreased gradually to around 3.2 μmol/g at 8h after death. 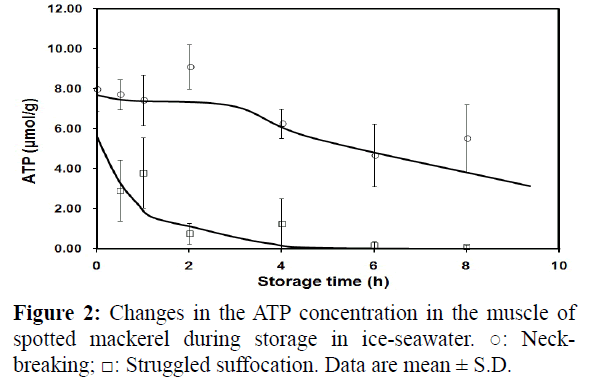 Figure 2: Changes in the ATP concentration in the muscle of spotted mackerel during storage in ice-seawater. Ã¢ÂÂ: Neckbreaking; Ã¢ÂÂ¡: Struggled suffocation. Data are mean ± S.D. Lactate Accumulation: The initial lactate concentration was determined to be around 24.5 μmol/g immediately after death as shown in Figure 3. The NB group exhibited little accumulation of lactate (less than 40 μmol/g) during 2h after death. Whereas, the SS group accumulated a considerable amount of lactate (more than 67.6 μmol/g) during the same period. Another significant difference was observed in lactate accumulation between the two groups. Lactate in the SS group was accumulated at a relatively high rate and its content was determined to be around 96.2 μmol/g at 8h after death. On the other hand, the lactate accumulation in the NB group increased at a slower rate and reached only about 60.6μmol/g at 8h after death. Figure 3: Changes in the lactate content in the muscle of spotted mackerel during storage in ice-seawater.Ã¢ÂÂ: Neck-breaking; Ã¢ÂÂ¡: Struggled suffocation. Data are mean ± S.D. pH Change: The specimens had a muscle pH about 7.0, immediately after death as shown in Figure 4. Muscle pH tended to decrease during storage for both groups. In the case of the SS group, the pH decreased very quickly and decreased to less than 6.0 at 2h after death and kept at a low level around 5.8. However, the specimens of NB group kept pH higher than 6.3 even at 8h after death. Figure 4: Changes in pH in the muscle of spotted mackerel during storage in ice-seawater. Ã¢ÂÂ: Neck-breaking;Ã¢ÂÂ¡: Struggled suffocation. Data are mean ± S.D. Mf Ca2+-ATPase Activity: Mf Ca2+-ATPase activity showed a little difference between two groups at 2h after death as shown in Figure 5. Mf specific Ca2+-ATPase activity was 0.162 ± 0.006 μmol/min/g Mf for the NB group, while Mf specific Ca2+-ATPase activity decreased to 0.138 ± 0.006 μmol/min/g Mf for the SS group. Both Mf Ca2+-ATPase activity decreased at 8 h after death. The NB group still kept high ATPase activity around 0.145 ± 0.008 μmol/min/g Mf, while the SS group decreased to 0.116 ± 0.008 μmol/min/g Mf. The results showed that the specific Ca2+- ATPase activity of the NB group was higher than that of the SS group after death (p<0.05). 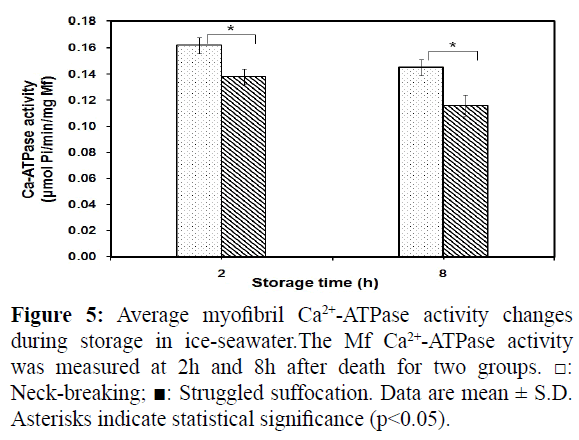 Figure 5: Average myofibril Ca2+-ATPase activity changes during storage in ice-seawater.The Mf Ca2+-ATPase activity was measured at 2h and 8h after death for two groups. Ã¢ÂÂ¡: Neck-breaking; Ã¢ÂÂ : Struggled suffocation. Data are mean ± S.D. Asterisks indicate statistical significance (p<0.05). Mf Salt-Solubility: Mf salt-solubility showed similar changes as Ca2+-ATPase activity as shown in Figure 6. Mf prepared from the NB group showed high salt-solubility (86.2 ± 4.6%) at 2h after death, while the Mf salt-solubility decreased to 73 ± 5.0% for the SS group. Both group’s Mf salt-solubility decreased about 25- 35% at 8h after death compared to that at 2h. The NB group still kept high salt solubility around 70.3 ± 8.4%, while the SS group decreased to 52.6 ± 5.6%. The results showed that the Mf saltsolubility of the NB group was higher than that of the SS group after death (p<0.05). 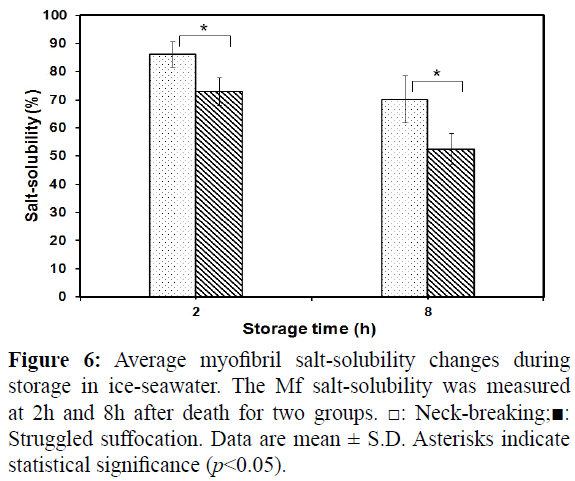 Figure 6: Average myofibril salt-solubility changes during storage in ice-seawater. The Mf salt-solubility was measured at 2h and 8h after death for two groups. Ã¢ÂÂ¡: Neck-breaking;Ã¢ÂÂ : Struggled suffocation. Data are mean ± S.D. Asterisks indicate statistical significance (p<0.05). The present experiment investigated the neck-breaking instantaneously-killed method for delaying post-mortem changes in spotted mackerel. Empirical evidence suggests that spotted mackerel is usually kept at 5-7°C before market distribution. It is reported that the most desirable storage temperature for delaying post-mortem changes in horse mackerel caught near Nagasaki is 10°C (Mishima et al., 2005). In this research we tried to establish the killing procedure and storage conditions most suitable for spotted mackerel when stored as frozen sashimi for later consumption. As a result, the superiority of the neck-breaking instantaneous killing method was confirmed. Differences in rigor index at 2h after death were significantly different between the two groups and seemed indicative of the effect of the killing method (p<0.05). As rigor mortis is thought to be correlated with the disappearance of ATP, in this study, initial ATP level at the start of storage was higher in the NB group than in the SS group. It is reported that instantaneously-killed spotted mackerel that had rested in a fish cage for 3 days could maintain a higher flesh quality, delaying the time of rigor mortis, while still containing a high content of ATP (8.0 μmol/g) in muscle after cooling in ice for 9h (Tamotsu et al., 2012). In this study, the fish specimens were supplied by one week-culture (rear) in a fish cage after capture stress treatment. ATP content still kept 4.5 ± 1.2μmol/g even when stored at 5°C for 8h after death, which is identical to the published data. It is reported that there is a linear relationship between pH and lactic acid content (Fukuda et al., 1984). In this study, the lactic acid increased to about 100.3 μmol/g and pH decreased to around 5.8 at 8h after death. These results were similar to the published data in the case of chub mackerel (Fukuda et al., 1984). The high accumulation of lactate concentration might be due to the high concentration of glycogen before death. It is known that when glycogen concentrations are high immediately after death, high concentrations of lactic acid are accumulated during storage (Ikeda 1984). Furthermore, it was observed that there is good correlation between lactate content and pH (Figures 3 and 4). The more lactate content increased, the lower pH decreased. Lactate gradually accumulated in accordance with ATP degradation in the muscle. A fairly good correlation existed between lactate and ATP contents for both groups (Figures 2 and 3). There have been few studies on the basis of the post mortem changes in biological activity, such as Mf ATPase activity. Mf ATPase activity is also a good index for meat quality especially for judging the surimi quality. It is also reported that the poor gel forming ability of the muscle of chub mackerel is due to the pH decrease during storage (Fukuda et al., 1984). Additionally, that Mf Ca2+-ATPase activity decreased very quickly when Mf was stored at pH 5.6, and the decrease became slower at pH 6.1 (Hashimoto and Arai, 1978; Hashimoto and Arai, 1985). In this study, myofibril ATPase and salt-solubility were also measured to compare the meat quality of two groups (Figures 5 and 6). Both myofibril ATPase and salt-solubility of the NB group appeared about 15-25% higher compared with the SS group. Their results also indicated that good meat quality can be maintained using the neck-breaking method. Mochizuki et al. (1997) reported that neck-breaking as a killing procedure in horse mackerel more effectively delayed the progress of rigor-mortis and the changes in energy-related compounds in muscle, as compared with stabling the brain. It seems that neck-breaking also destroyed a part of the spinal cord. As neck-breaking is a simple and easy way of killing treatment, it is very important to establish the killing procedure and storage condition most suitable to the fish. On the other hand, Ando et al. (1996) reported that bleeding delayed post-mortem tenderization of fish muscle in migratory fish species such as yellowtail, horse mackerel, and striped-jack. In addition, bleeding was apparently effective in delaying postmortem changes in horse mackerel (Mochizuki et al., 1997). For the neck-breaking method in Kagoshima, it combined the instant neck-breaking killing and bleeding with suitable storage temperature such as 5-7°C. Therefore, it is effective for maintaining fish freshness and quality with good texture. The above results provide scientific evidence for the predominance of the neck-breaking method. It is a good way to maintain freshness of spotted mackerel, and it may provide information to facilitate a new processing system for the production of frozen sashimi from high quality spotted mackerel. And this method might be applicable for those small size fish species (body weight less than 1 kg) by combining the instantaneous killing technique and suitable storage temperature. The present study was supported by JST (Japan Science and Technology) “Revitalization Promotion Program” (2012-2015). We are grateful to Mr. Andrew Alcock, a former exchange student of Faculty of Law, Economics and Humanities, Kagoshima University, for his comments on the manuscript. Ando, M., Banno, A., Haitani, M., Hirai, H., Nakagawa,T., et al. ( 1996)Influence on post-mortem rigor of fish body and muscular ATP consumption by the destruction of spinal cord in several fishes. Fish. Sci 62, 796-799. Azuma, Y., Konno, K. ( 1998)Freeze denaturation of carp myofibrils compared with thermal denaturation. Fisheries Sci 64, 287-290. Bito, M., Yamada, K., Mikumo, Y., Amano, K., (1983) Studies on rigor mortis of fish-I. Difference in the mode of rigor mortis among some varieties of fish by modified cutting`s method. Bull. Tokai Reg. Fish. Res. Lab. 109, 89-96. Fukuda, Y., Tarakita, Z., Arai, K. (1984) Effect of freshness of chub mackerel on the freeze-denaturation of myofibrillar protein. Nippon Suisan Gakkaishi50, 845-852. Gornall, A.G., Bardwill, C.J., David, M.M. (1949) Determination of serum proteins by means of biuret reaction. J Biol Chem 177, 751-766. Hashimoto, A., Arai, K. (1978) The effects of pH and temperature on the stability of myofibrillar Ca-ATPase from some fish species. Nippon Suisan Gakkaishi. 44, 1389-1393. Hashimoto, A., Arai, K. (1985) The effects of pH on the thermostability of fish myofibrils. Nippon Suisan Gakkaishi. 51, 99-105. (in Japanese). Hu, Y., Yuan, C., Yu, K., Qu, Y., Chen, S. et al. (2014)An Online Survey Study of Consumer Preferences on Aquatic Products in China: Current Seafood Consumption Patterns and Trends. Fish Aquac J 5, 94. Hu, Y., Zhang, J., Ebitani, K., Konno, K. (2013) Development of simplified method for extracting ATP-related compounds from fish meat. Nippon Suisan Gakkaishi 79, 219-225. Ikeda, S. (1981)Post-mortem change and glycolytic pathway in fish muscle. In: Ikeda S (ed). Trace constituent in fish. Kouseishyakouseikaku,Tokyo 66. Iwamoto, K., Yamanaka, H., Watabe, S., Hashimoto, K. (1987) Effect of storage temperature on rigor-mortis and ATP degradation in plaice Paralichthys olivaceus muscle. J Food Sci 52, 1514-1517. Iwamoto, M., Ioka, H, Saito, M., Yamanaka H. (1985) Relation between rigor mortis of sea bream and storage temperatures. Nippon Suisan Gakkaishi 51, 443-446. Iwamoto, M., Yamanaka, H., Abe, H., Ushio, H., Watabe, S. et al. (1987) Effect of storage temperature on rigor-mortis and ATP degradation in plaice Paralichthys olivaceus muscle. J. Food Sci 52, 1514-1517. Mishima, T., Nonaka, T., Okamoto, A., Tsuchimoto, M., Ishiya, T. (2005)Influence of storage temperatures and killing procedures on post-mortem changes in the muscle of horse mackerel caught near Nagasaki Prefecture, Japan, Fish. Sci71, 187-194. Mochizuki, S., Maeno, K., Norita, Y. (1997)Post-mortem changes in the muscle of horse mackerel sacrificed by neck-breaking. Nippon Suisan Gakkaishi 63, 396-399. Mochizuki, S., Norita, Y., Maeno, K. ( 1998 ) Effect of bleeding on postmortem changes in the muscle of horse mackerel. Nippon Suisan Gakkaishi 64, 276-279. Mochizuki, S., Sato, A. (1994) Effect of various killing procedures and storage temperatures on post-mortem changes in the muscle of horse mackerel. Nippon Suisan Gakkaishi 60, 125-130. Mochizuki, S., Sato, A. (1996) Effect of various killing procedures on post-mortem changes in the muscle of chub mackerel and round scad. Nippon Suisan Gakkaishi62, 453-457. Mochizuki, S., Ueno, Y., Satoh, K., Hida, N. (1999) Effects of storage temperature on post-mortem changes in the muscle of chub mackerel. Nippon Suisan Gakkaishi65, 495-500. Ogata, Y., Shindo, J., Kimura, I. (2012) Suppression effect of ATP on freeze denaturation of fish myofibrillar protein. Nippon Suisan Gakkaishi 78, 461-467. Quiazon, K.M, Yoshinaga, T.,Ogawa, K. (2011) Distribution of Anisakis species larvae from fishes of the Japanese waters. Parasitol. Int. 60,223-226. Suzuki, J., Murata, R., Hosaka, M., Araki, J. (2010) Risk factors for Anisakis infection and association between the geographic origins of Scomber japonicas and anisakid nematodes. Int. J. Food Microbiol 137, 88-93. Tamotsu, S., Sugita,T., Tsuruda, K., Fukuda, Y., Kimura, I., (2012) Recovery from stress of spotted mackerel Scomber australasicus by briefly resting in a fish cage after capture stress treatment. Nippon Suisan Gakkaishi 78, 454-460. Watabe, S., Ushio, H., Iwamoto, M., Yamanaka, H., Hashimoto, K. (1989) Temperature-dependency of rigor-mortis of fish muscle: myofibrillar Mg2+-ATPase activity and Ca2+ uptake by sarcoplasmic reticulum. J Food Sci 54, 1107-1115.